Gather ideas for an outdoor engagement party, bridal shower, or get-together this season! As the warm weather makes entertaining outdoors all the more exciting, it's the perfect time to invite future bridesmaids and groomsmen, friends, and family members to your home for a pre-wedding get-together. Whether you use this time to celebrate an engagement or simply provide a chance for loved ones to bond prior to the nuptials, an alfresco soirée is a wonderful opportunity to practice entertaining your future wedding guests – and take a moment to put wedding planning on the back burner. From well-loved summer vegetables and beloved appetizers to healthy and savory desserts, there are plenty of ways to offer food and desserts to guests that look as incredible as they taste. 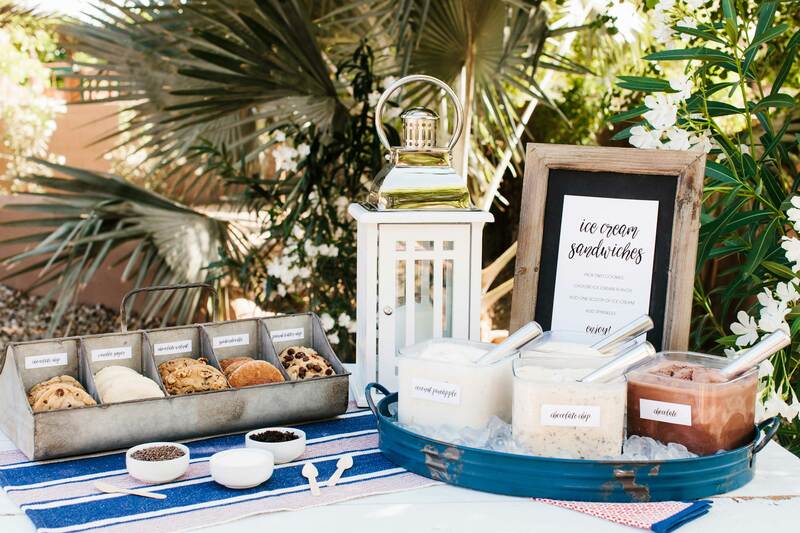 With a little preparation, some stylish signage, and cute outdoor serving pieces, you can easily turn an alfresco summer party into a picture-perfect event that will ensure guests get even more excited for your big day. Take a look at five ways to DIY beautiful food displays for your outdoor summer engagement party, bridal shower, or welcome party, below! 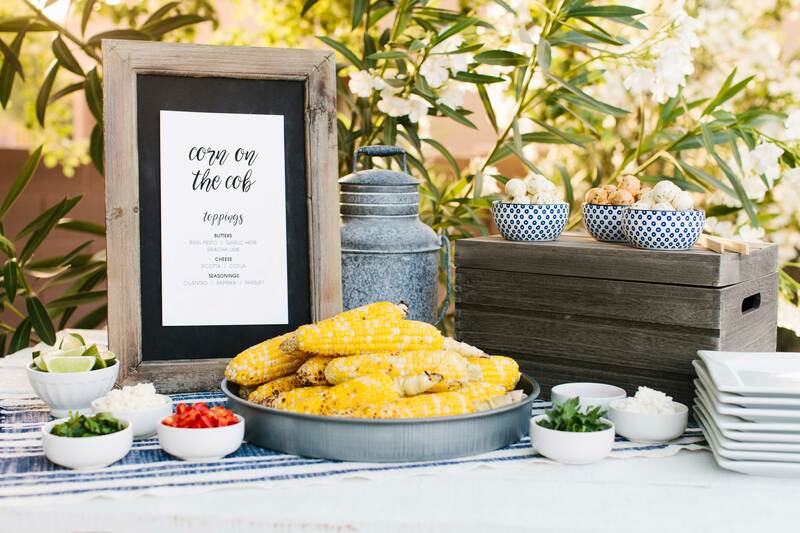 Ideal for a poolside barbecue or pre-wedding get-together, a corn-on-the-cob station featuring herbed butters, cheeses, and seasonings will really set the tone for the season and impress loved ones. 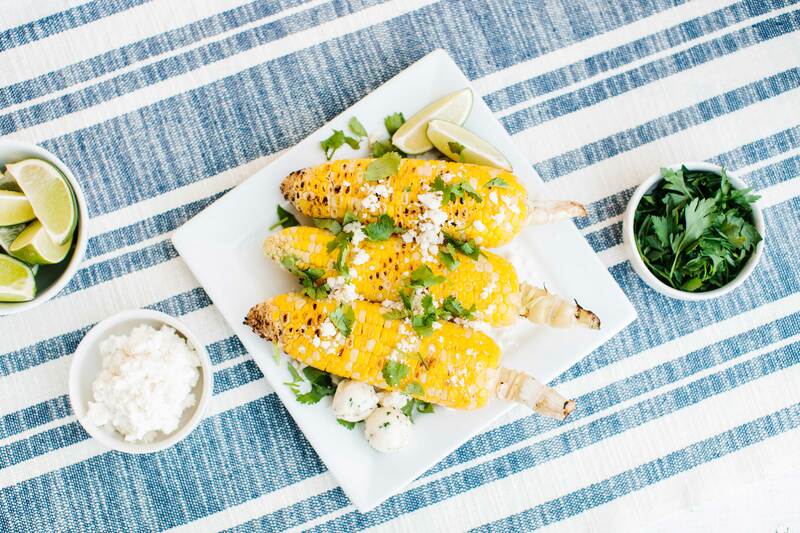 Place pre-cooked and grilled corn on an oversized serving tray, and provide balls of basil pesto, garlic herb, or sriracha lime butter in festive bowls. 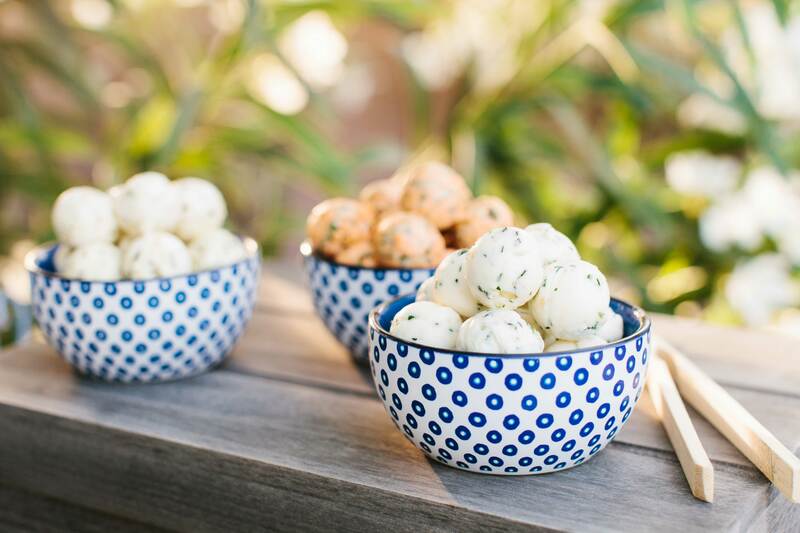 Offer ricotta cheese as a topping – which will go well with the basil pesto and garlic herb butters – as well as cotija cheese to complement the spicy sriracha butter. For a final topping, give guests the choice of cilantro, paprika, and parsley, or any of your favorite fixings! 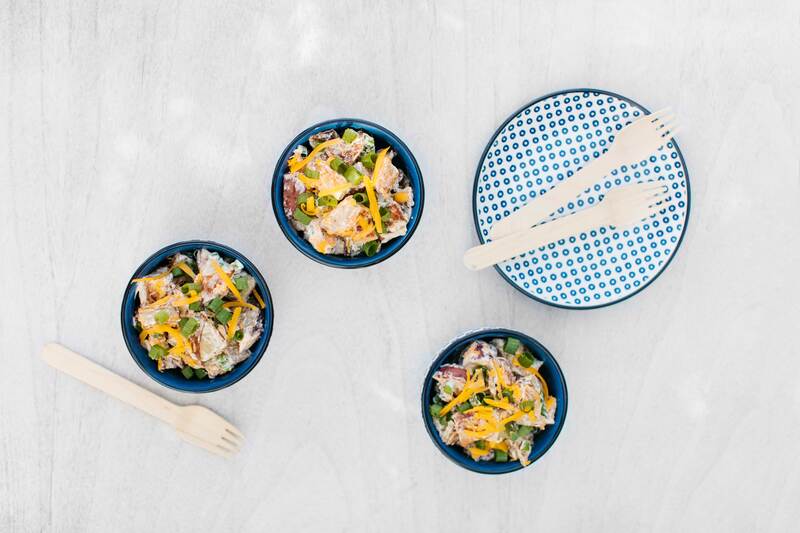 Potato salad is a staple for outdoor picnics and parties, and it's also an easy appetizer to make minutes before a festive summer celebration. 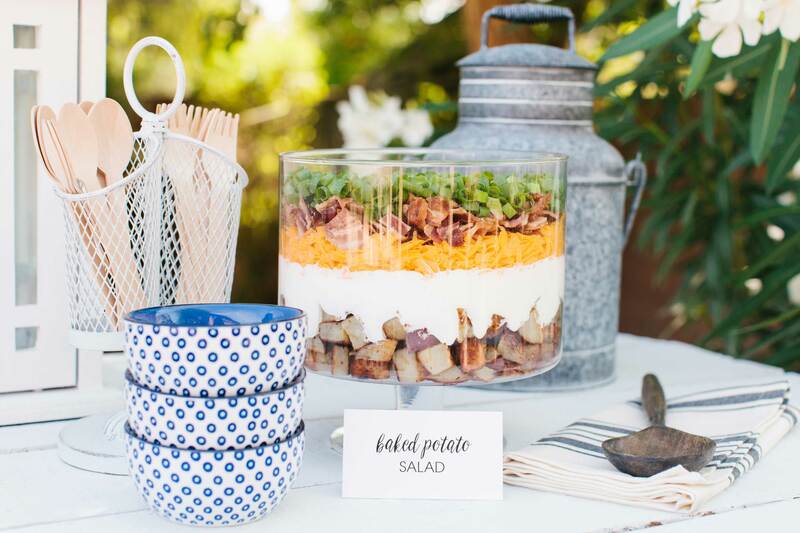 For a twist on the classic recipe, create a layered baked potato salad, so guests can see each delicious ingredient. 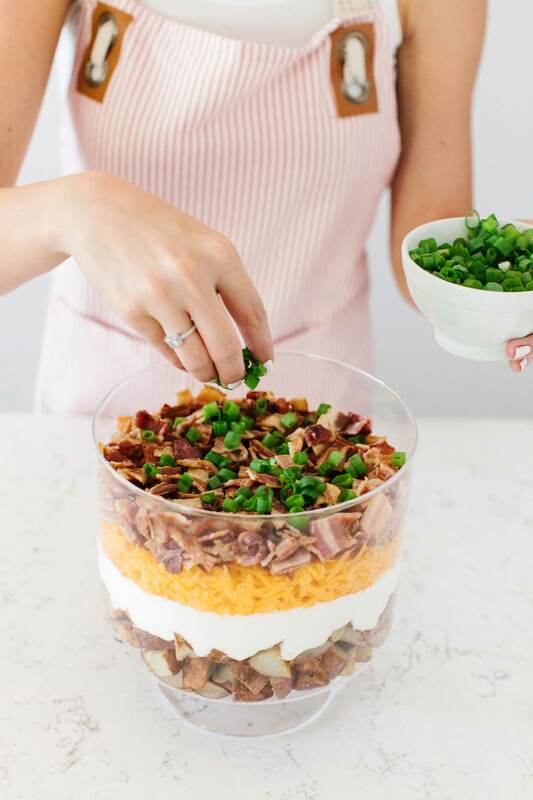 In a large glass bowl, add your favorite kind of potato (chopped) and top with layers of sour cream, your preferred cheese, bacon, and green onions. Serve with a spoon and add fresh cheese on top if you'd like! 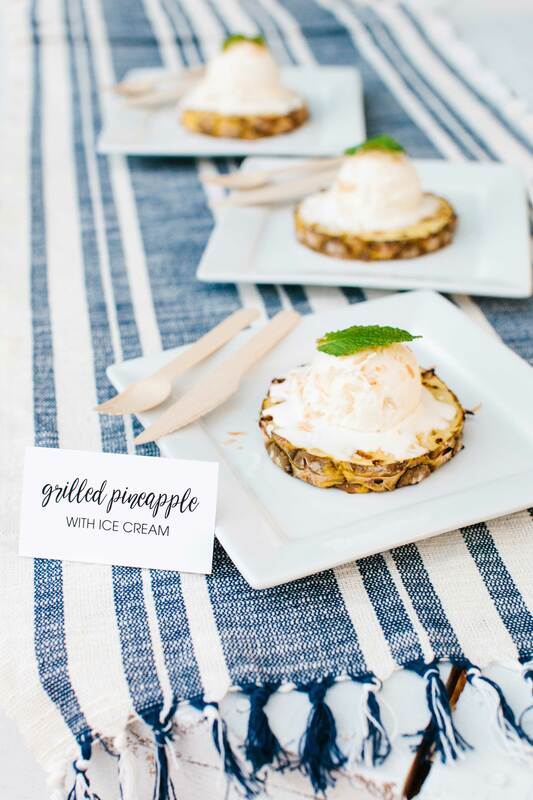 Pineapples have recently become popular in prints and décor – especially for destination weddings, and they're also delicious! The tropical fruit also beautifully complements a summer wedding event. 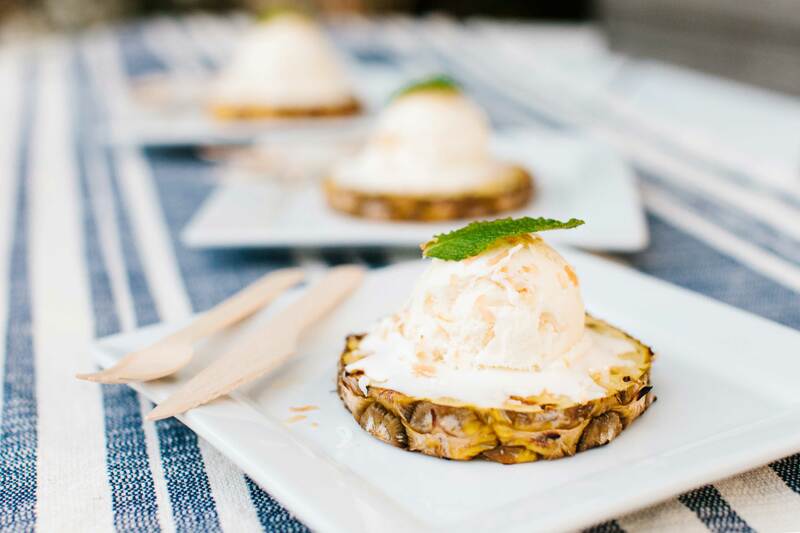 Slice a pineapple, grill it, and add a scoop of your favorite ice cream flavor for a stylish dessert ideal for alfresco soirées in warm weather. Top with a mint leaf for a little color, and enjoy! 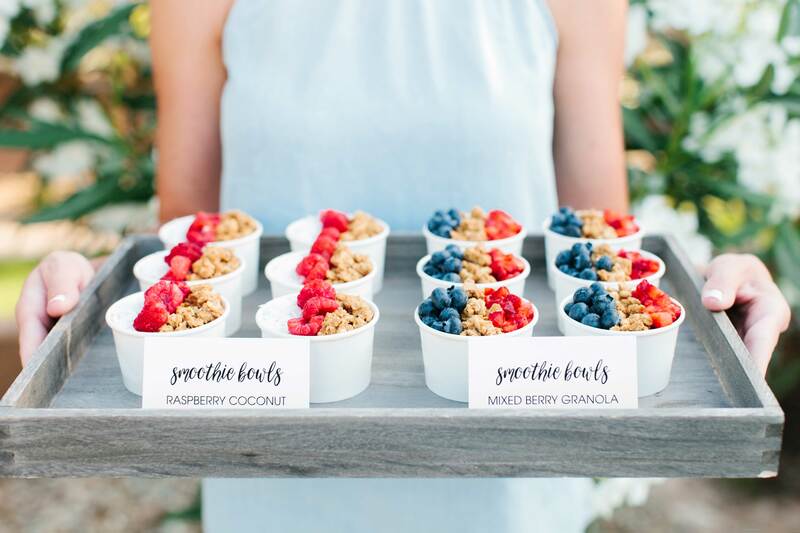 For guests attending your outdoor summer party or bridal shower that desire a healthier dessert option, consider two kinds of smoothie bowls: raspberry coconut and mixed berry granola. 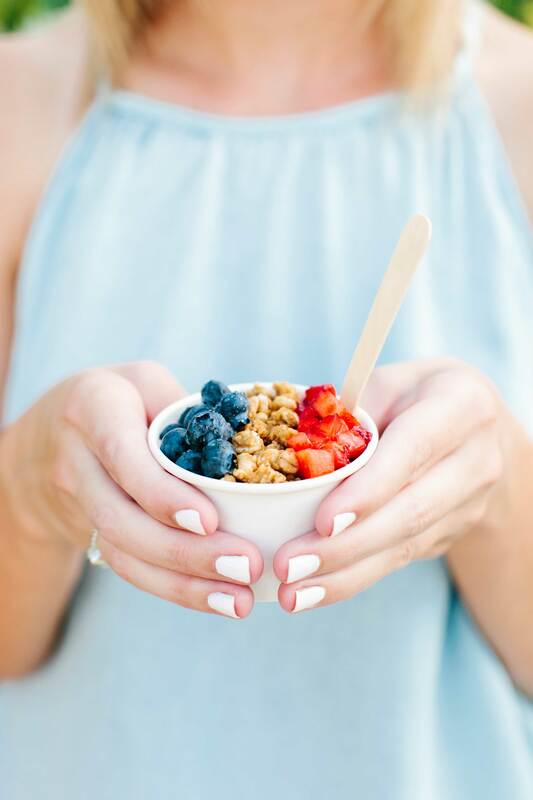 Blend your favorite smoothie or acai mixture, disperse into small paper cups, and top with either coconut shavings, granola, and raspberries or granola, strawberries, and blueberries! Everyone loves ice cream and cookies, so why not combine the two delectable options into a tantalizing dessert? 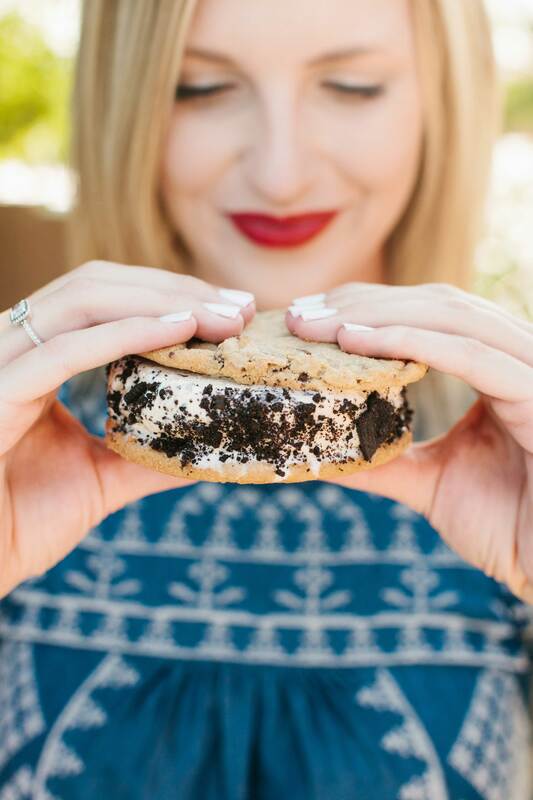 Have your favorite flavors of ice cream on display for your friends and family to sandwich between two cookies of their choice to provide a warm, gooey crunch mixed with a refreshing cool and creamy flavor. 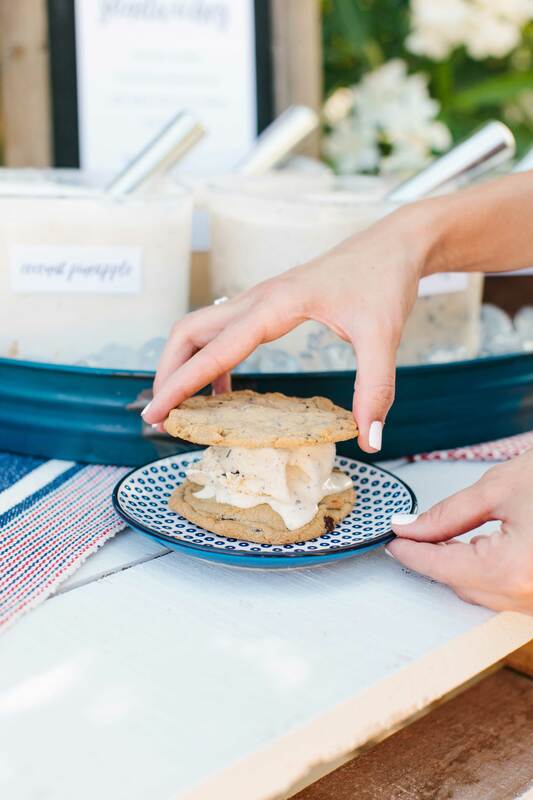 To make sure guests understand how the station works, display a sign instructing them to pick two cookies, add a scoop of their preferred ice cream, and add sprinkles, cookie crumbles, or additional toppings around the sides. Let us know which station you'd love to recreate in the comments! Discover more unique food displays here, find ideas for wedding drink stations, gather options for hors d'oeuvres that guests will love, and find additional food and drink inspiration in our photo galleries!